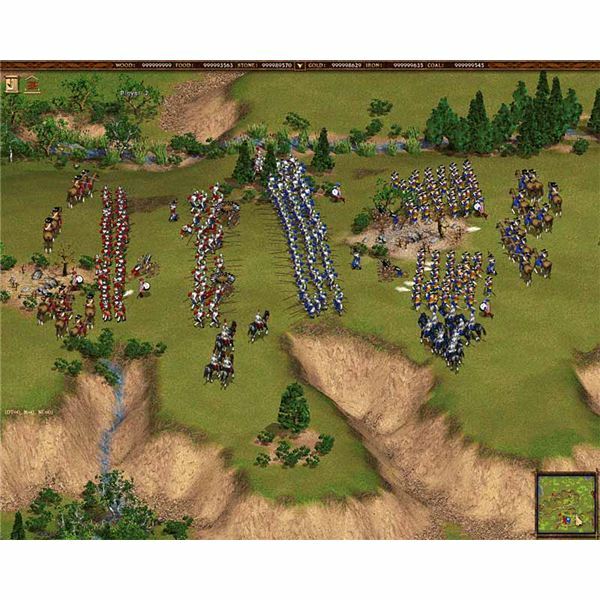 Cossacks: European Wars was a real time strategy game which was released in 2001. The game was set during the 18th and 19th centuries and gamers could choose from sixteen nations. 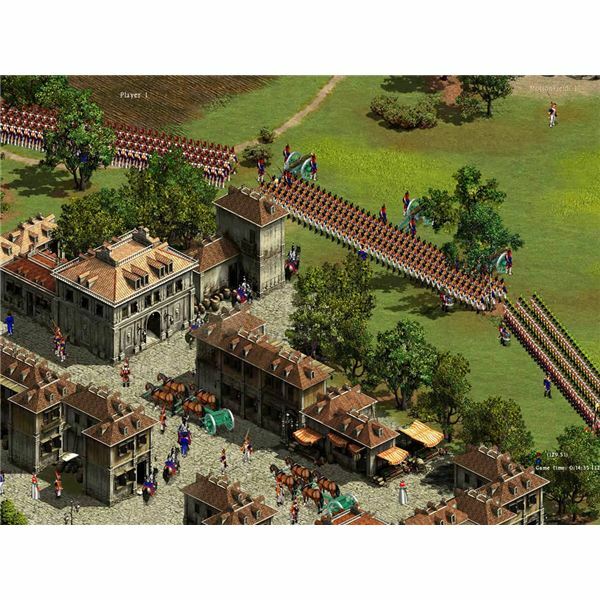 In addition to construction and resource gathering the player could choose from a huge range of historical units and the game featured a level of tactical depth which was unmatched at the time. On release the big selling point was the high number of units that the player could build and control allowing epic battles to rage on the detailed maps. The attention to detail was great and historical accuracy was clearly the aim of the Ukrainian developers, GSC Game World, who even included a comprehensive encyclopaedia to allow you to brush up on your knowledge. The single player game featured four historical campaign options for a complex progression of varied missions which would gradually teach you the game and build up the challenge. There was also a single mission option where you could choose an individual mission for a quick game and a random map option in which you could fight for dominance against the nation of your choice and set things like resource levels and terrain types. Many of the individual missions allowed you to re-enact real battles from history. Resource gathering was a key component of the action and you could build a variety of structures to get your peasants working. There were six basic resources in the game and each was vital if you wanted to gain a victory. You could mine for gold, iron or coal, chop down trees for wood, quarry for stone and construct fields for food production. Careful resource management made this game a tricky prospect, run out of gold and your men would desert, run out of coal or iron and your canons would cease firing. You could also construct a number of military units from cavalry and infantry to artillery of various types and even naval units like galleys, yachts and frigates. Soldiers had to be grouped together with a commanding officer and could then be set up in formations which dramatically increased their effectiveness in combat. You could also use the terrain to your advantage and a row of gunners on the brow of a hill with tree cover behind would effectively stop a dreaded cavalry charge. Each of the selectable nations had different unit options and favoured tactics which made for excellent replay value. Studying the advantages and weaknesses of your chosen nation was not optional it was vital if you wanted to progress and playing through the campaigns as different nationalities made for a satisfyingly varied range of game-play. The graphics may look a little dated now but this was considered a pretty game at the time. The player has a typical isometric view of the playing field and some of the maps were huge. The environments were quite detailed and geographically different areas would feature different types of terrain. This was one of the first games in which the terrain really had an impact on the combat and positioning of your troops was something to be carefully considered. The units are well modelled and animated and the general look of the game was as accurate as possible to the historical inspiration. The structures you could build were also beautifully modelled and the various styles of the different nations came through in the architecture. The multiplayer option allowed up to six opponents to engage in online battle. The basic deathmatch structure made this a desperate struggle for dominance of the various maps. However strategy was of key importance and forming alliances and then breaking them for outright dominance made this an engaging and challenging multiplayer experience. The AI in the single player game definitely had some issues and there were aspects of the campaign which were badly scripted so playing against human opponents offered a terrific alternative. The requirements to run this game were amazingly low and despite being able to have up to 8,000 units on a single map my PC never struggled. The minimum specs required were a Pentium 200MHz CPU, 32 MB RAM, a video card and sound card supported by DirectX 6 and just 200MB of hard drive space. While I wouldn’t advise playing on such a basic system this was close to the specs I had when I first got the game and it ran beautifully. Cossacks was a gem of a title and it deserved to do better than it did on release. Sure there were some flaws, mainly the AI and the fact that the nations were far from balanced but you could forgive the odd problem because the scope of the game was massive. This offered a wealth of content for your money and with a multiplayer mode thrown in on top it could easily eat up days of your time. It was extremely addictive but as the campaigns progressed things would become incredibly challenging and remembering to go back and check your resources during the heat of an epic battle could prove frustrating. The enemy AI had an infuriating habit of sending fast cavalry past your forces to burn your fields and generally torment your peasants so you could never afford to forget your town. 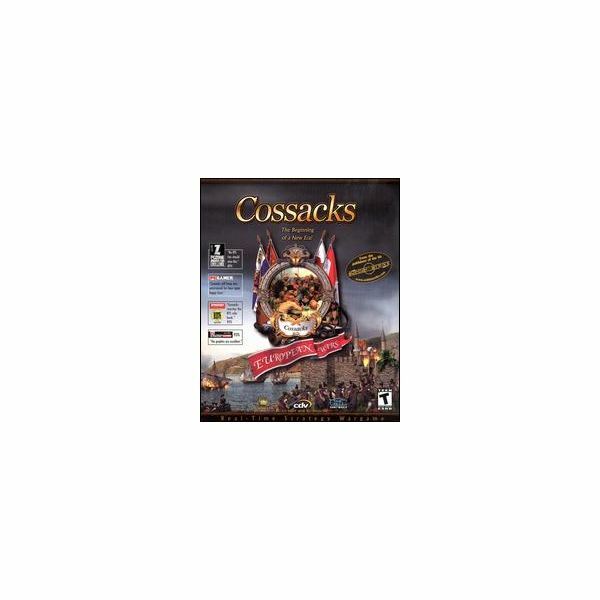 The best thing about Cossacks was the strategy and in my opinion it wasn’t until the Total War series came along that Cossacks was really challenged in this department.